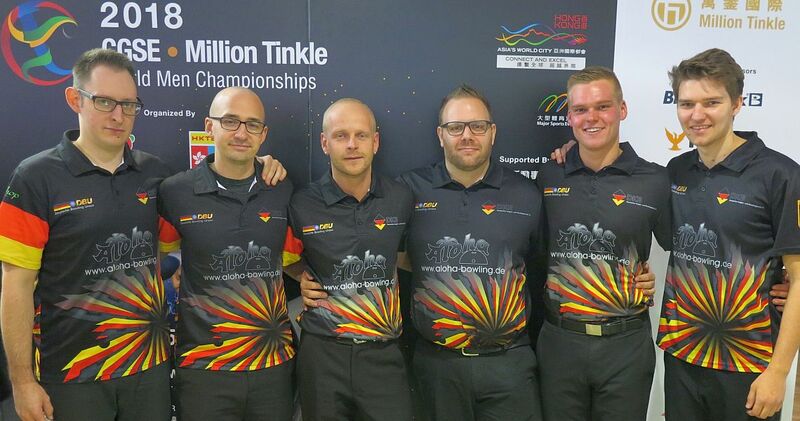 Fabian Kloos, Pascal Winternheimer, Oliver Morig, Tobias Börding and Frank Drevenstedt of Germany averaged over 213 in the first of two squads in the prestigious five-player team event to take the early lead at the 2018 CGSE • Million Tinkle World Men Championships in Hong Kong with 3200 pinfall total. 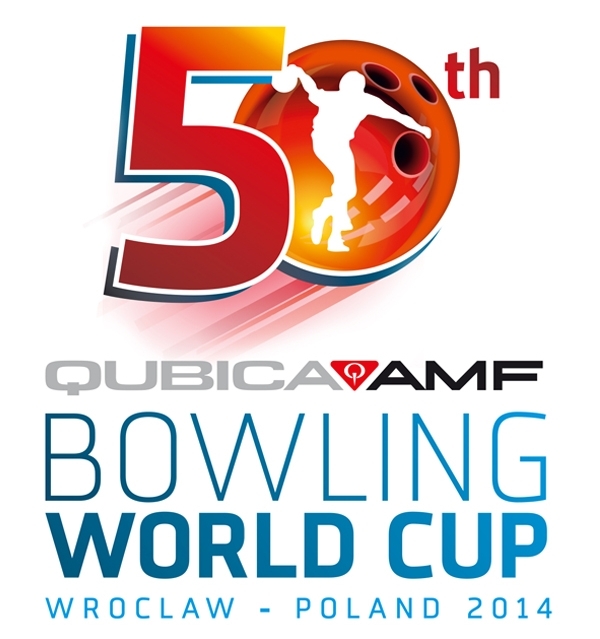 The Germans were the only team which had three games over 1000, including 1065, 1061 and 1074. 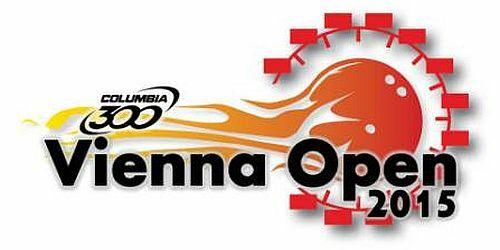 Winternheimer led the team with 677 and was followed by Drevenstedt (650), Morig (648), Börding (625) and Kloos (600). 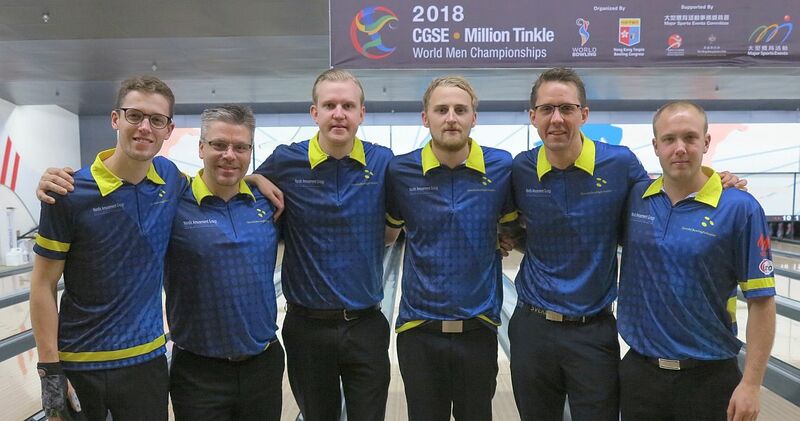 Featured photo from left: Squad 1, Block 1 leader Germany: Timo Schröder, Pascal Winternheimer, Frank Drevenstedt, Oliver Morig, Fabian Kloos and Tobias Börding. 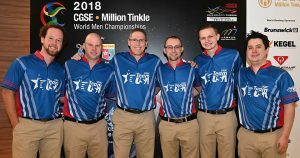 Rounding out the top 4 was Sweden, Singapore and England. 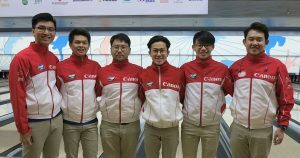 The six-game Team preliminaries got underway Saturday morning at 9.00 Hong Kong Time with the first three-game block at SCAA bowling center in Causeway Bay. 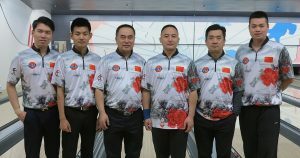 Only three teams surpassed the 1000-mark (200 average) on the challenging lane condition in the first game. 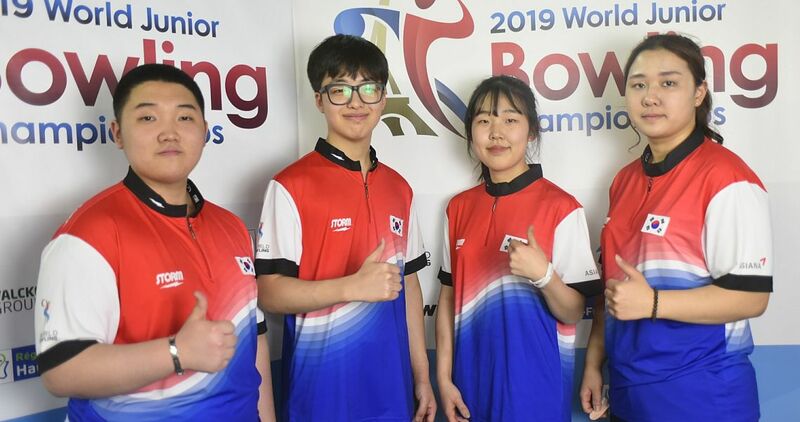 Germany took the early lead with 1065 and an average of 213 as a team. 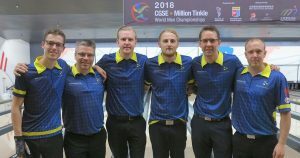 Pontus Andersson, Mattias Wetterberg, Jesper Svensson, Peter Hellström and Martin Larsen of Sweden (right) were 53 pins behind in second place with 1012 and were followed by China in third and Costa Rica in fourth with 994. 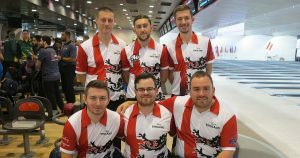 The scoring pace improved in the second game with Germany adding another 1061 to the 1065 from game 1 to remain atop the leaderboard of 20 teams with 2126 (212.60 average). 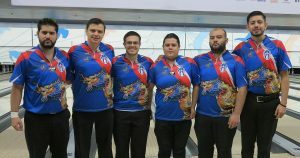 Marco Moretti, Erik Roy, Jonaykel Conejo, Juan Rodriguez and Rodolfo Madriz of Costa Rica (left) were the first and only team in this squad who surpassed the 1100-bar, posting 1115, including 266 by Moretti and 255 by Conejo, to leap into second place with 2109. 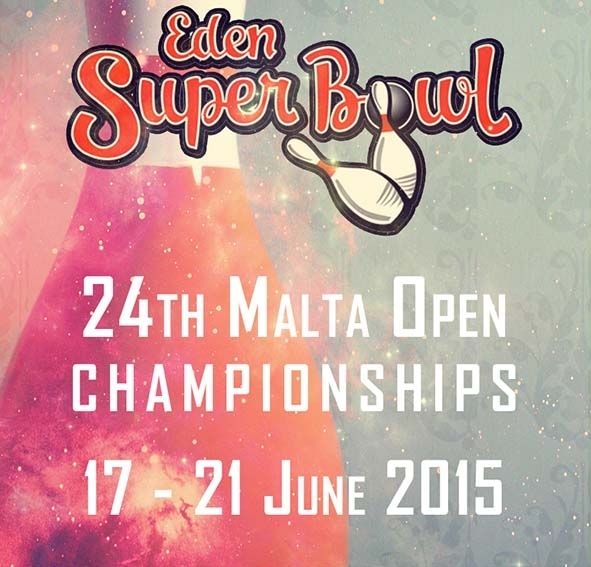 Sweden had the second highest 1086 game, but slipped to third place with 2098. Basil Ng, Jonovan Neo, Joel Tan, Darren Ong and Jaris Goh of Singapore (right) moved into fourth place with 2044, behind 1052 in game two. Syafiq Ridhwan, Adrian Ang, Timmy Tan, Tun Hakim and Rafiq Ismail of Malaysia (left) followed a 943 opening game with 1069 to leap into fifth place with 2012. The other 15 teams were averaging under 200 at that moment. 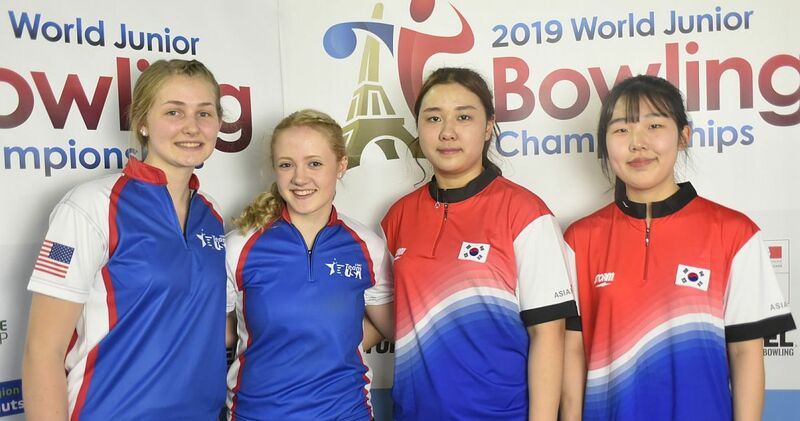 Germany secured the pole position with a nice 1074 game, led by Drevenstedt’s 256 game, and 3200 total, an average of 213.33 as a team. 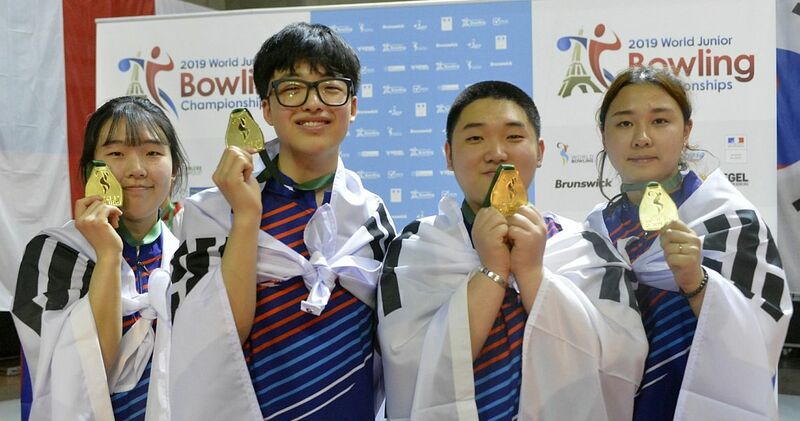 Trailing Germany by 132 pins to sit in second place was Sweden. 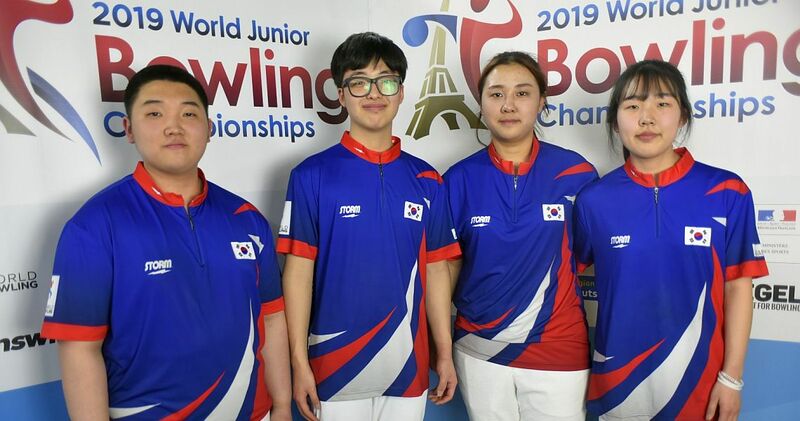 The “Tre-Kronor” team finished the first block with a subpar 970 game but maintained second place with 3068 (204.63). 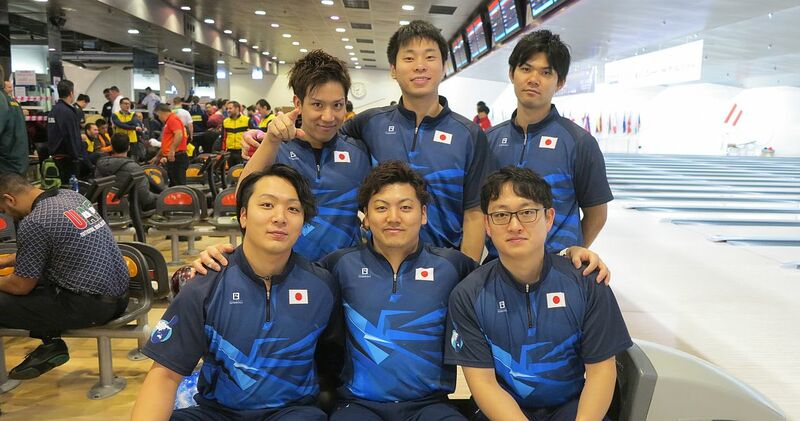 Singapore was slightly better than the Swedes with 991 to narrow the gap to 33 pins in third place with 3035 (202.33). Adam Cairns, Elliot Crosby, Peter Stevenson, Hadley Morgan and Leon Devlin of England (right) rebounded from a 949 opening game with 1018 and 1055 To jump into fourth place with 3022 (201.47). Cairns led the team with 692, the highest three-game series of this squad. Just outside the top 4 who would advance to the medal round after the conclusion of the preliminaries Monday afternoon, was Japan (left) featuring Tomoyuki Sasaki, Yuhi Shinbata, Ryoya Tanaka, Shogo Wada and Shusaku Asato who toppled 2978 pins (198.53), including two game over 1000. 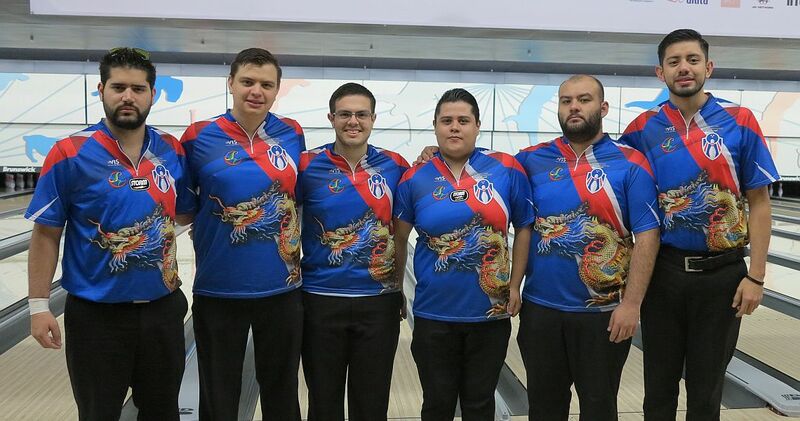 Costa Rica fell to sixth place behind an 853 last game and 2962 (197.47). 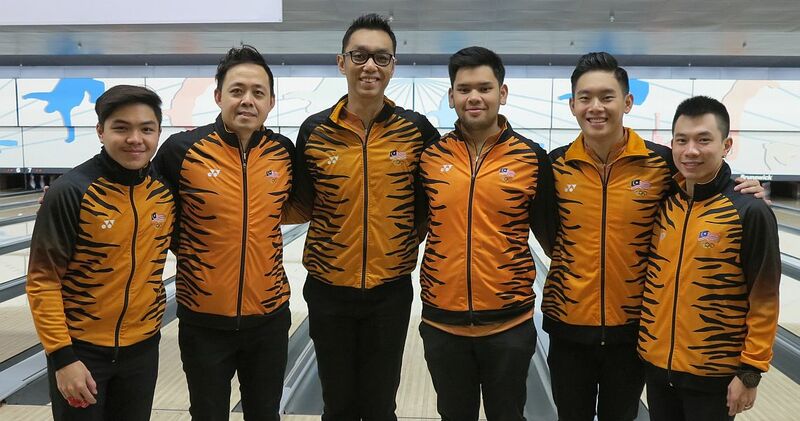 Malaysia slipped to seventh place with 2922 (194.80) due to their low game of 910 in the third. 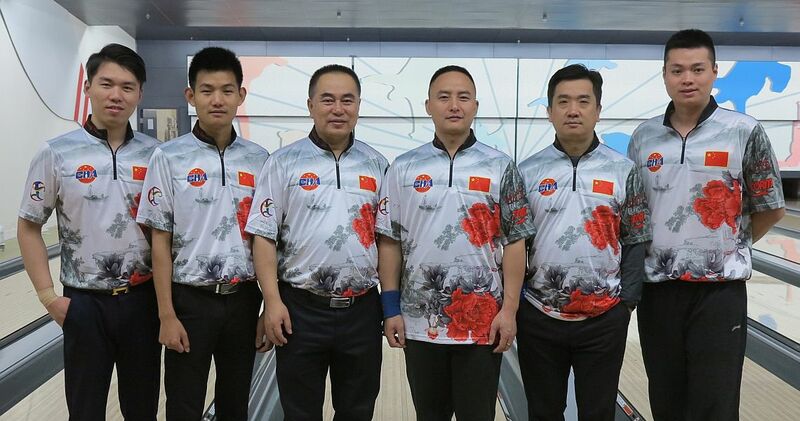 Du JianChao, Wang HongBo, Qi WanKang, Deng Heng and Mi ZhongLi of China (right) were eighth with 2915 (194.33). 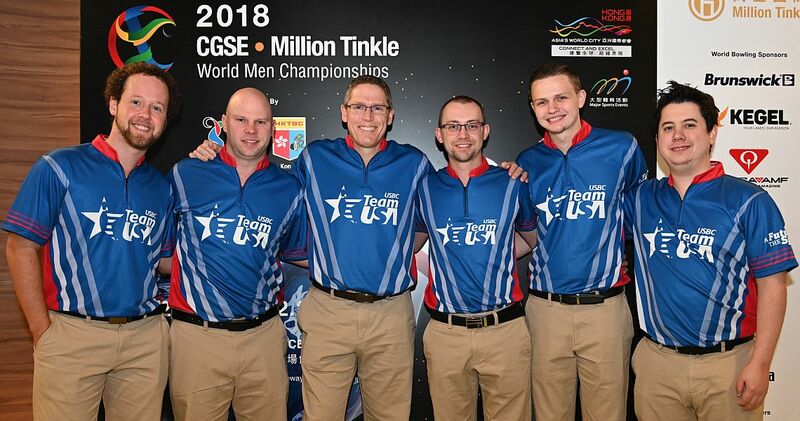 Defending team champion United States (left) will compete in the second squad which started at 14.30. 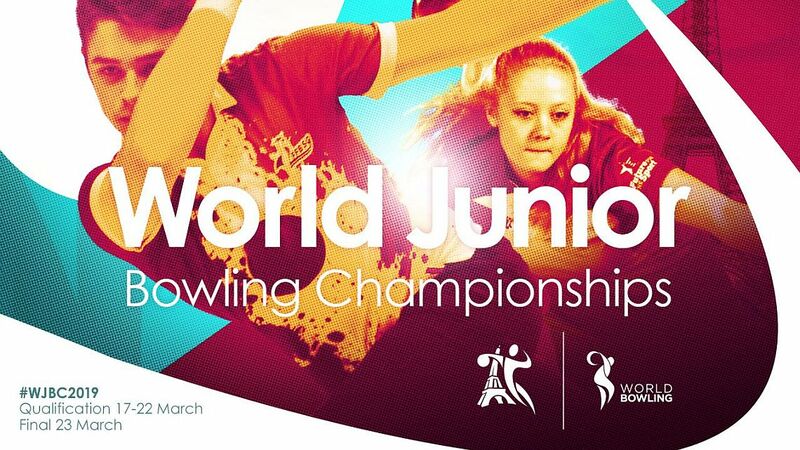 Following the will be the medal round in Singles which gets underway at 19.30 with the first semi-final.